Bodwell’s string of championships with the North Shore Athletic Association and the Greater Vancouver Independent School Athletic Association is a testament to the expertise of our coaches and the genuine team efforts of our student athletes. Bodwell has the benefit of a full gymnasium, indoor pool, and other close by facilities. However, the individual perspectives of our international student athletes are what add richness to the Bodwell athletic experience. All of our athletes work on the cornerstones of teamwork and sportsmanship to ensure their own success and their teams, both on and off the field. To a Bodwell student athlete, winning is an effect of hard work, dedication, cooperation, and an open mind. Here we give you a roundup of Bodwell’s sport teams since September 2014. This post features a look at the Bodwell ski & snowboard team. 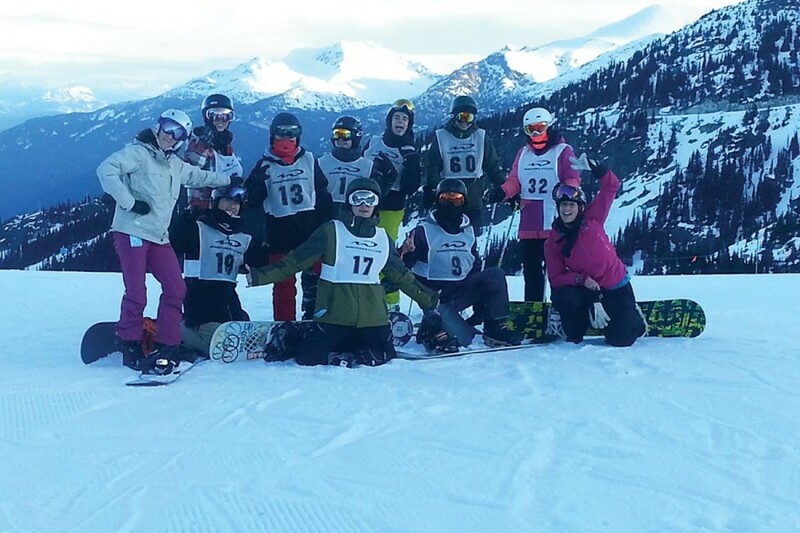 The ski and snowboard team only trained two days up at Cypress Mountain for the North Shore terrain and slalom competitions up at Whistler on January 30th and February 12th. Despite the variability in snow conditions up at Whistler, the team were still able to adjust their carving technique during their races. This was the first year that Bodwell competed in the Terrain GS race and our team impressed everyone. Liliya Nesterovich placed 3rd out of 38 in the experienced girls ski category and Hiroki Udagawa placed 9th out of 30 in the experienced boys snowboard category. Liliya went on to compete in the ski provincial championships for the second year in a row!